Drybeck Farm is on the banks of the River Eden just outside the Cambrian village of Armathwaite. The farm provides a selection of accommodation options to provide a luxury outdoor holiday. This is the ideal setting for a back to nature experience and for those wishing to explore the Lake District, Carlisle and The Pennines. New Farm Holidays situated on a working farm in rural Lincolnshire is a fantastic base from which to explore this picturesque and idyllic county. 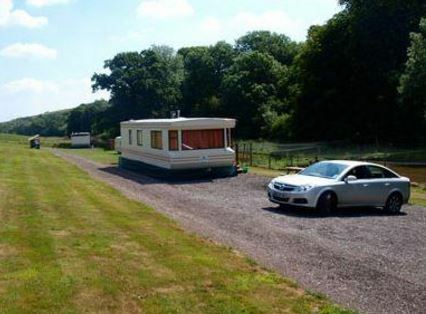 We offer a choice of two holidays on our family friendly campsite in Stickney; either bring your own caravan and pitch up on our caravan site set in a tranquil 2.5acre field or dump the bags and relax in comfort and style in one of our newly installed camping pods where you can experience a fabulous camping holiday minus the tent. 6 Penifiler Caravan offers comfortable and spacious accommodation in a 3 bedroomed static caravan in Struan and boasts spectacular views of Portree Bay and the Old man of Storr. 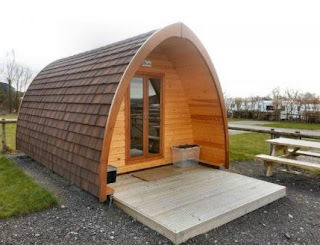 The caravan is a large m static caravan which is equipped for up to 6 people with its own decking and ample parking and a perfect base from which to explore the idyllic Isle of Skye. Situated on the stunning Somerset Coastline, St Audries has been offering holidays since 1933. Family owned and operated, St Audries is set in an Area of Outstanding Natural Beauty with amazing views and beach access. We offer a variety of accommodation styles including large, level camping and touring pitches - all with electric hook up, bed and breakfast or half board in our chalets, and self catering in our static caravans. There are lots of things to do and places to visit in the area as well such as the Bakelite Museum, Cheddar Gorge & Caves, Clarkes Village, Cleeve Abbey, Doniford Farm, Dunster Village & Castle, Exmoor National Park, Exmoor Owl & Hawk Centre, Fleet Air Arm Museum, Glastonbury Abbey & Tor, Minehead, Minehead Eye Indoor Skate Park, Sheppy’s Cider Farm, Tarr Steps, Torre Cider Farm, Tropiquaria, Wells, West Somerset Steam Railway, Weston Super Mare Pier, Wookey Hole and much more!